Aged Care Fees | What Is The Cost Of Aged Care In Australia? When making a decision about aged care for your loved ones, the first thing that you probably need to think about is aged care fees. For most people, this is not something they’re familiar with and with the many aged care fees and charges, we understand that it can be a confusing and exhausting process. However, it’s important to understand that costs can vary from person to person and depend on individual needs. The cost of aged care can range from around $18,000 p.a. – over $50,000 p.a. based on the aged care home chosen, level of income and assets and strategy in place. 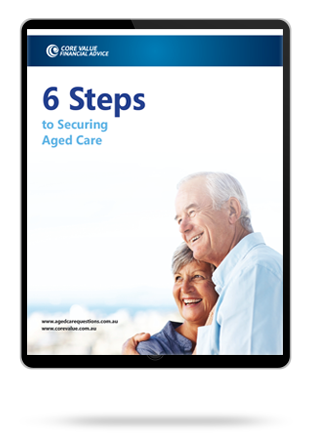 With profession advice, aged care costs can be significantly reduced. On average we save our clients $5,000 per year. We always recommend seeking professional financial advice before you begin the aged care process, in order to fully understand the costs of aged care, as relevant to your financial situation. Basic daily fee: This is the fee that goes towards day-to-day costs for meals, heating, cleaning, laundry and so on. The government has set a minimum basic daily fee, calculated as 85% of the basic single rate of Age Pension. This figure is indexed in line with the Age Pension. Means-tested care fee: This is an extra fee determined by the Department of Human Services (DHS) once they assess your income and assets. This fee has a yearly and lifetime cap therefore, you don’t have to keep paying it once you’ve reached your cap. But not everyone will reach the cap and some people won’t even need to pay this fee. Accommodation payment/deposit: A fully refundable deposit, accommodation payment or a combination of the two is used to pay for your loved one’s accommodation in the aged care home. In some cases, the Australian Government can cover all or part of the aged care accommodation costs, saving you a huge chunk of the amount of money you spend. When speaking to your aged care adviser, make sure you find out if this benefit is available to you. Each of these fees can vary, depending on individual situations. Your family’s income and pension can play a large part in determining in how much you ultimately pay in aged care fees. Now that you have an idea of the aged care payments you have to make let’s talk about how to work out the exact costs. First you have to estimate what the aged care home costs will be. An aged care financial adviser can calculate your potential aged care costs. This estimate will give you an idea of the upfront and ongoing costs with transitioning your loved one in care. The next thing you need to do is have an aged care financial advice expert assess your income and assets to determine your ability to cover the aged care fees and determine whether it’s necessary to sell the family home. You also need an assessment from the Department of Human Services (DHS) or the Department of Veterans’ Affairs (DVA). it’s important that you determine the best time for completing and submitting this to form. Individual circumstances differ. This assessment will determine whether you qualify for any benefits or government assistance and can often help you save a lot of money. Before you transition your loved-one into aged care, you need to talk to different aged care homes to assess their costs. You will need to work out a balance between aged care costs and comfort to see which provider is most suited for your needs. At Core Value Financial Advice, we assist with all of the above step-by-step. At Core Value, we are a highly specialised team of experts providing aged care advice to clients. With decades of experience in the industry, we have helped hundreds of clients just like you maximise Centrelink and DVA support. By assessing each client’s individual financial concerns, we can also help you minimise aged care fees so you don’t pay more than what you need to. By employing clever strategies to reduce the means tested care fee and maximising social security benefits, we can save you thousands of dollars every year. Mary is 84 years of age and has a home in Melbourne valued at $830,000. Mary’s daughter, Sally, is Mary’s Enduring Power of Attorney and will be making the decisions relating to Mary’s finances and aged care needs. Mary also has $150,000 in bank savings. Sally has found an aged care home in Melbourne that seems to suit Mary. The aged care home has a Refundable Accommodation Deposit of $500,000. This can be paid in full or in part. Sally does not want to keep Mary’s home and will be putting it on the market. After costs, she expects Mary will receive $800,000 in sale proceeds. Had Mary sought advice from Core Value Financial Advice prior to making any financial decisions on behalf of Mary, Core Value would have made some recommendations that would have resulted in the following Age Pension payments and aged care fees for Mary over the first 12 months. These recommendations would have left Mary $6,720 better off over the first 12 months alone, with savings continuing each year that Mary remains in aged care. Hypothetically, if Mary remained in aged care for 5 years, she would have an extra $60,000 in her bank account by simply seeking advice and setting up her finances in a way that is favourable assessed for Centrelink and aged care purposes. Nothing more would need to have been done after the initial setup. This is just one example of the infinite scenarios that we advise on every day. At Core Value, we understand every family has a unique situation and help hundreds of families every year, with our personalised approach. If you’re feeling confused or overwhelmed about making the right aged care decisions, you’re in the right place. Make the right financial decisions for your loved ones and save thousands in aged care with tailored advice from our expert advisers – Shane and Suzanne. Speak to an aged care expert today. 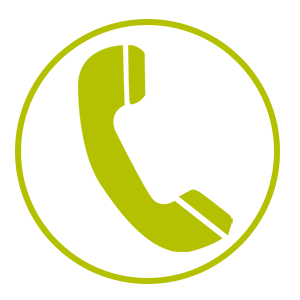 Call us on 1300 944 011 for a free consultation with our advisers.